By admin in News on April 4, 2018 . JIPMET 2018 question paper will consist of 200 questions of the objective type. Candidates will be awarded one marks for each correct answer. No marks will be deducted for wrong or unanswered questions. JIPMER 2018 Examination is conducted for admission to the MBBS programmes in JIPMER Karaikal & Puducherry campuses. JIPMER 2018 is scheduled to be held on June 03, 2018, at selected venues across India. JIPMER 2018 question paper will consist of 200 questions of the objective type. JIPMER 2018 Results will be released on or before June 20, 2018. Counselling and Seat Allocation process will begin from June 27, 2018. Before applying for JIPMER 2018 Exam, you must be aware of the eligibility criteria set by the conducting body. It is compulsory for all the candidate to meet the eligibility criteria to apply for JIPMER 2018, failing to meet the eligibility criteria may lead to rejection of the application. Here are the Eligibility Criteria for JIPMER 2018. Candidates must be 17 years of age in the admission year. For JIPMER 2018, candidates must be of 17 years of age as on January 01, 2018. Candidates who have passed 10+2 or equivalent examination from a recognized board with Physics, Chemistry, Biology/Biotechnology as subjects are eligible. Appearing students are also eligible. Candidates must also secure at least 60% marks(GEN), 50% marks (OBC/SC/ST/OPH) & 50% marks(GEN OPH) in PCB subjects. The exam conducting authority has released JIPMER MBBS 2018 Application Form on March 07, 2018, and the last date to apply will be April 13, 2018. The application form can be filled in an online mode only, there is no other mode to fill the JIPMER application. Upload scanned images of recent photograph, signature, and caste/OPH certificate (if applicable). The photograph & signature dimension should be 30mm width x 45mm height. The minimum size of the photograph & signature should be 10KB and maximum size should be 80KB. Now, Click on the “I Agree” button. Candidates will get a message/e-mail on his/her registered email ID/mobile number containing “Candidate ID” & “Password”. Log in with the “Candidate ID” & “Password” to choose the payment mode & make payment through online mode. After fee submission, click on the “submit” button. You are advised to download and take a printout of the application form for further references. Applicants can submit the application fee through online mode only(Credit Card/Debit Card/Net banking). General category candidates have to pay 1500 INR(1200 INR for SC/ST & P-SC/ST category candidates). The NRI/OCI students have to pay 3000 INR. No application fee will be applicable for OPH & P-OPH students. Admit Card will be issued only to those candidates who have submitted their application forms complete in all respects, on or before the last date and those who have satisfied the eligibility criteria. Candidates can download their JIPMER 2018 Admit Card through online mode. 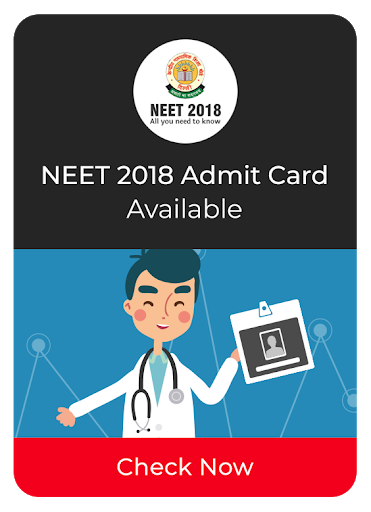 The admit card will be available from May 21, 2018. Candidates will not receive his/her admit card through post or any other means. JIPMER 2018 Admit card will contain details like name of the candidate, date of birth, venue of exam center, date & time of the exam, photograph, etc. JIPMER 2018 Entrance Exam will be held on June 03, 2018, through online mode. The question paper will be of objective type, with four options. There will a total of 200 questions in JIPMER 2018. The question paper will be asked in the English language. The duration of the paper will be 150 minutes. Candidates will be awarded one mark for each correct answer. For every incorrect answer and unanswered questions, no marks will be deducted. The syllabus for JIPMER MBBS 2018 will be based on CBSE & State Board syllabi of 10+2 level. The questions will be cover topics from the subject: Physics, Chemistry, Biology, Logic and Quantitative Reasoning, English and Comprehension. Students are advised to prepare these sections thoroughly. Candidates must practice all topics to get a grip on all the topics. JIPMER 2018 MBBS Result is scheduled to be released on or before June 20, 2018, in an online mode. Candidates will be able to view their JIPMER result on the official website of JIPMER 2018. After the evaluation of all the answer sheets, Jawaharlal Institute Postgraduate Medical Education & Research, Puducherry will declare the results on its official site. JIPMER Cutoff is the minimum score required to secure admission in the various courses offered by Jawaharlal Institute Postgraduate Medical Education & Research, Puducherry. JIPMER 2018 Merit List will be prepared on the basis of the marks secured by candidates in the JIPMER 2018 examination. There will be separate merit list for different categories. Merit List will be published along with the declaration of the results. The merit list will be in the descending order of total marks scored in the entrance exam. Based on candidates score and rank in the merit list, they will be called in for JIPMER 2018 MBBS Counselling. Only the candidates who will be shortlisted based on JIPMER 2018 entrance examination will be eligible for the counselling process. JIPMER 2018 Counselling will begin from June 27, 2018, at the Jawaharlal Institute Postgraduate Medical Education & Research, Puducherry campus. The counselling will be conducted in four rounds. The seat will be allotted to candidates in the sequential order based on candidates position in the merit list. Candidates will have to get all the certificates and documents verified at the counselling centre on the stipulated date. Candidates are advised to appear for Counselling procedure himself/herself with all the necessary documents. No other person will be allowed to appear for the counselling and admission on behalf of the candidate.